Farm Africa is looking for 3 additional staff to join its Flourishing Futures programme which is focused on sunflower production in two regions of Manyara and Shinyanga and funded by the Agricultural Markets Development Trust (AMDT). Farm Africa will work with 30,000 smallholder farmers, inclusive of women, youth and men, sunflower oil processors and other key market players following an M4P approach. Farm Africa is looking for two dynamic Agribusiness Support Officers (ASOs) one to be based in Babati, Manyara and another in Kahama Shinyanga. The ASOs will assist the Project Coordinators (PCs) to deliver timely and high quality project activities, build project stakeholder relationships, monitoring and evaluating project performance using Farm Africa's approved approaches. 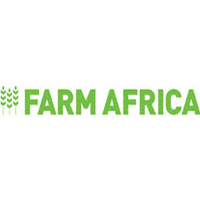 Farm Africa is looking for a Financial Assistant (FA) to be based in Kahama Town, Shinyanga. The FA will work with the Project Coordinator (PC) and Farm Africa Financial manager while having full responsibility for ensuring financial compliance with basic standards contained in the Farm Africa finance procedure manual at the field office level. The FA will maintain comprehensive and up-to-date financial records, produce financial reports as and when necessary, and be responsible for general financial & administrative & procurement tasks at the Field Office level. For further details of any of the positions, please visits our website on https://www.farmafrica.org/jobs/jobs If you believe you have the skills and experience required for any of the above positions, please submit a CV (maximum 3 sides of A4) and a covering letter (maximum 1 side of A4) that explains how you meet the job requirements, clearly stating which position you are applying for, to Tanzaniarecruitment@farmafrica.org by midnight (EAT), 29th of December 2017. Farm Africa is an equal opportunities employer and we welcome applications from a diverse range of candidates. We help farmers to increase their harvests, build their incomes and sustain natural resources, partnering with governments and the private sector to find effective ways to fight poverty. We work closely with local communities, who actively participate in all the decisions about our work. Typically, our staff are from the local area, can speak the local language and have a deep understanding of the local context.